Blog: Greetings from the British Deaf Association Northern Ireland! 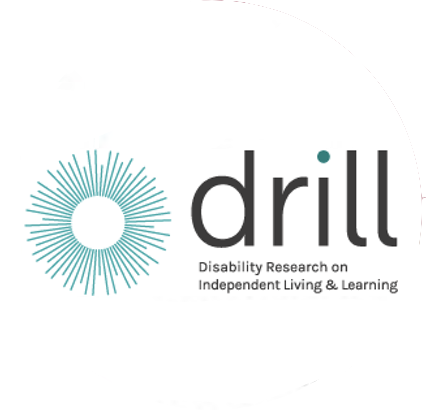 So far we have made great progress with our DRILL project, which focuses on Implementing Article 13 of the UNCRPD: Enhancing Deaf People’s Communication Access to Justice in Northern Ireland. We have been working in partnership with Queens University (Belfast), Syracuse University (New York) and Rowan University (New Jersey). As I mentioned in my previous blog, there are a lot of barriers for Deaf people accessing the justice system. This is largely due to the fact that, for many Deaf people, their first language is British Sign Language or Irish Sign Language – not English. As part of the research project, our academic researchers interviewed police officers for their experiences/knowledge of working with Deaf people, at the same time, we organised information/ training sessions for Deaf people at a police station. We have been working tirelessly with our partners to try to break down these barriers. Great examples of this are the events we arranged with the local Police Service for Northern Ireland (PSNI). We invited Deaf people to come along to tours of two police stations in Northern Ireland. This was an eye opening experience, particularly for the police officers involved. Having the Deaf people in the station meant that they could see that there were many obvious barriers to communication. Each group was given the opportunity to ask questions which proved challenging for the police officers as they were unable to answer some questions due to their lack of experience of working with Deaf people. It was a very worthwhile trip for all involved! We are looking forward to our second Deaf Advisory Group (DAG) meeting. We are excited about the amazing guest speakers who will attend including: Emma Gilbert, who is involved with PLOD. PLOD stands for Police Link Officer for Deaf people and is a scheme that promotes equal access to the police for people in England who are deaf or hard of hearing. The purpose of this scheme is to build and maintain relationships with the deaf community within the county and for PLOD officers to act as a contact point for the public, staff and officers in the force who have or may have contact with deaf people. PLOD is made up of police officers, Police Community Support Officers (PCSO’s) and staff members from across the force. Andrew Geary, a police officer in Ireland who is also a father of a Deaf child is hugely passionate in supporting Access to Justice in Ireland for Deaf people. He is very keen to get involved with and PLOD based in Ireland, as well as Johnny Hamill, a police officer in Omagh, who is training to become a Police Link Officer for Deaf People in Omagh and Fermanagh. These will be trialled for few months and if successful, consideration will be given to having it right across Northern Ireland. We are also currently working on evaluation forms to make sure we get the feedback from Deaf people when using the PLOD. The group are all passionate about supporting the Deaf community in Ireland and Northern Ireland. We are very honoured to be working closely with these professionals with the aim of developing resources that will support their work and make their services more accessible for Deaf people. Further information sessions that will focus on accessing the justice system are in the planning stages. We believe it is so important that Deaf people have a good understanding of the range of services available. In addition to this we are arranging British Sign Language and Irish Sign Language Equality training for professionals in the justice sector across Northern Ireland. All the above will be keeping me busy over the next few months! Our partners will also be busy carrying out a scoping exercise and preparing their own research with the aim of providing evidence based research that will improve accessibility so that Deaf people can have more positive experiences when accessing the justice system in the future. So far our academic researchers interviewed our ‘Justice Focus Groups’. Within this group there were police officers, solicitors, barristers, prison officers and many more professionals. They were happy to be involved in assisting with the gathering of evidence from their own previous experiences of working with Deaf people. The researchers uncovered a lot of very useful information that can be used to address where the main barriers exist for Deaf people and how we can work together to tackle this in the future. I can already see how this research will have a positive impact on improving accessibility in the justice sector. I am so excited to read the final report when it is finished! I was delighted with the feedback we have been given from those involved in the tours. Many Deaf people commented that, as a result of attending the tour, they felt more confident and knowledgeable about how to access a police station. This confidence will hopefully make them more likely to go into their local police station in future, if necessary. As was previously stated, the police officers involved in the tours were quick to realise that they need to look into how their service can be more accessible. As a result of the tour they were made aware of the importance of their officers being able to communicate with Deaf people in-case they arrive at the station unexpectedly. It is clear that the events so far have had a massive impact on those involved. It has made the barriers more evident which has been a catalyst for positive change going forward. I feel confident that the upcoming events and research will delve into this deeper and I look forward to continuing to improve accessibility for Deaf people throughout the justice system.